Take a look at our brief that explains the ACRL Framework at MCC, and what our students learn about info lit. Information literacy enables someone to seek and use information effectively to answer a question or solve a problem. It’s applicable to every degree and certificate at MCC, and it is a core learning outcome here. 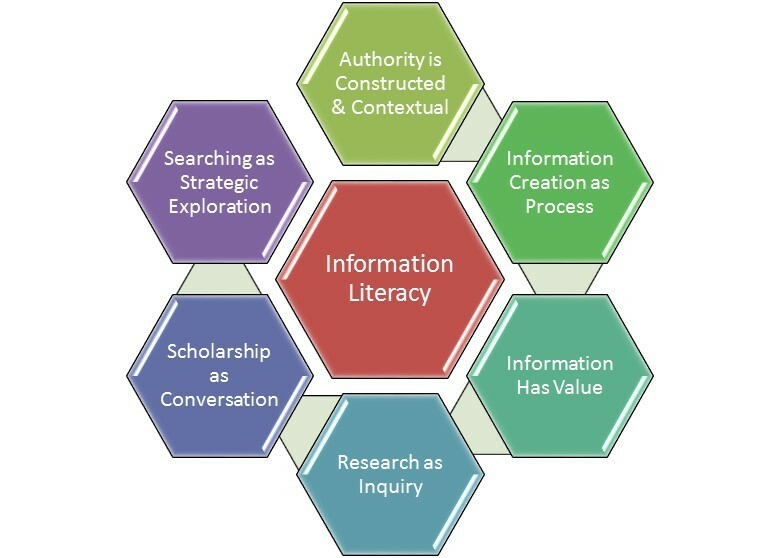 In 2015, The Association of College and Research Libraries (ACRL) released the Framework for Information Literacy for Higher Education to replace the information literacy standards published by the same organization in 2000. See more information about the ACRL Framework on their website. Both faculty and librarians provide information literacy instruction starting with MCC Essentials and continuing through the academic programs with integrated instruction as well as librarians visiting classes to offer instruction tailored to a research assignment. Please contact the library if you are interested in working with a librarian to create information literacy instruction for your course. We can come to your classroom or you can arrange to bring your class to the Library Instruction Lab (if available). We can also test an assignment to help you anticipate questions or challenges students may have when researching. See the Getting Started with Research guide that we developed. The Community of Online Research Assignments (CORA) is an open source collection of assignments for faculty and librarians. Open educational resource (OER) for instructors and students by librarian Todd Heldt. An open education resource (OER) published in 2019. Manchester Community College is part of the PIL volunteer sample, although to date (2017), we have not been included in any of the PIL studies. Project Information Literacy (PIL) is a national and ongoing series of research studies that investigates what it is like being a college student in the digital age. We seek to understand how college students find and use information -- their needs, strategies, practices, and workarounds -- for course work and solving information problems that arise in their everyday lives.